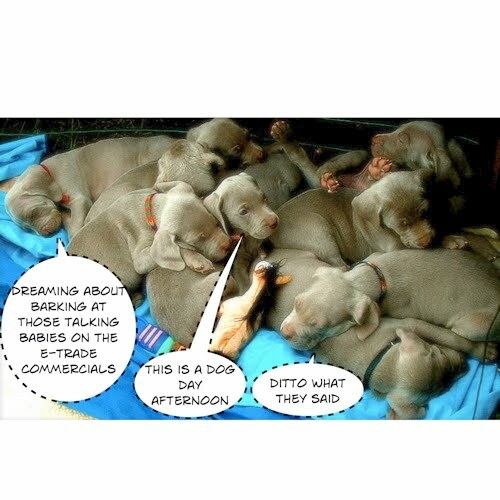 Happy Father's Day to Groucho, a Weimaraner and the father of these frisky puppies. Well, they are not frisky right at this moment, but, we all need a nap sometimes. Happy Father's Day to all Dads, two-and four-legged alike!